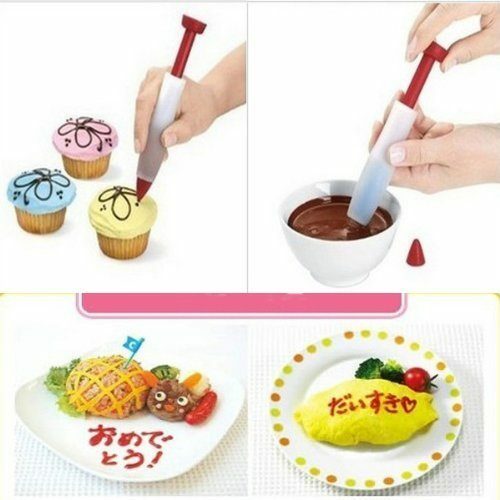 Cake Decorating Pen Only $2.82 + FREE Shipping! You are here: Home / Great Deals / Amazon Deals / Cake Decorating Pen Only $2.82 + FREE Shipping! Looking for something to use to write on cakes or other foods? I have just the thing for you! Right now, you can get this Cake Decorating Pen for just $2.82 with FREE shipping! You can use this to easily decorate cakes, cupcakes, omelets and plates, among other things! I love to make cupcakes, so I’m totally grabbing this to add to my stash of tools!